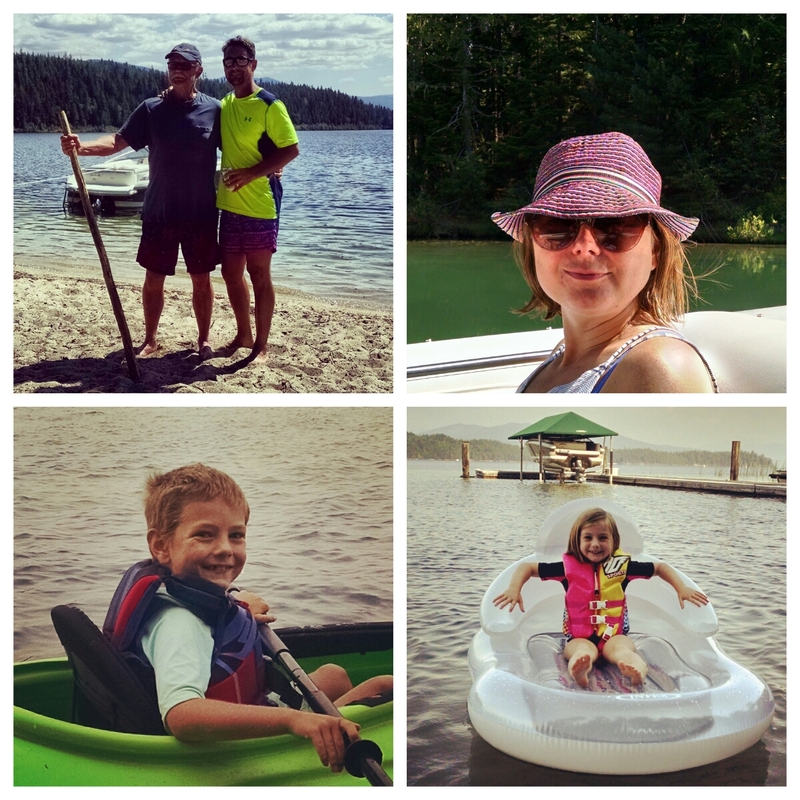 The Fry Family Quartet is spending some quality time in North Idaho this week. 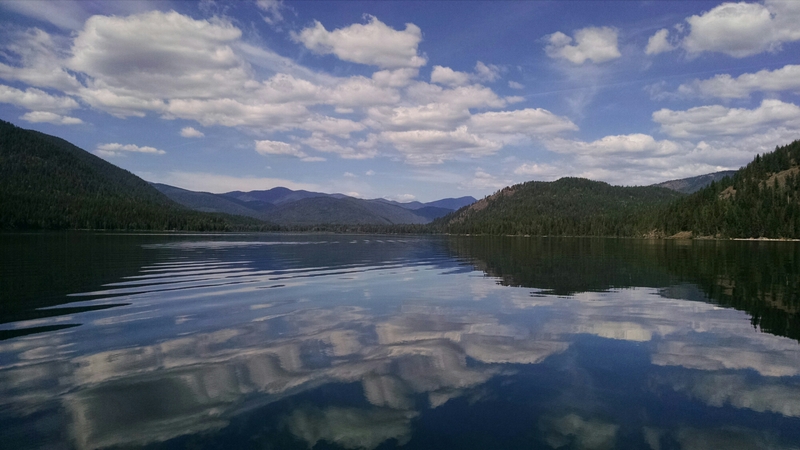 We’ve spent the first part of our trip at beautiful Priest Lake in the northern panhandle, where brother and sister-in-law, Mike and Alicia, have hosted us. This place brings back so many wonderful memories, and it’s been fun to watch Henry and Ruby experience many of the same things that I did as a little boy. They have spent half their time here in the water – swimming, floating and frolicking. Henry put to use his newly acquired kayaking skills when he and I circumnavigated Four Mile Island, which sits in front of Mike and Alicia’s house. Ruby has fearlessly taken to jumping off the dock and swimming to new depths. Last night Carl and Kaye arrived, followed by sister Kelley today. 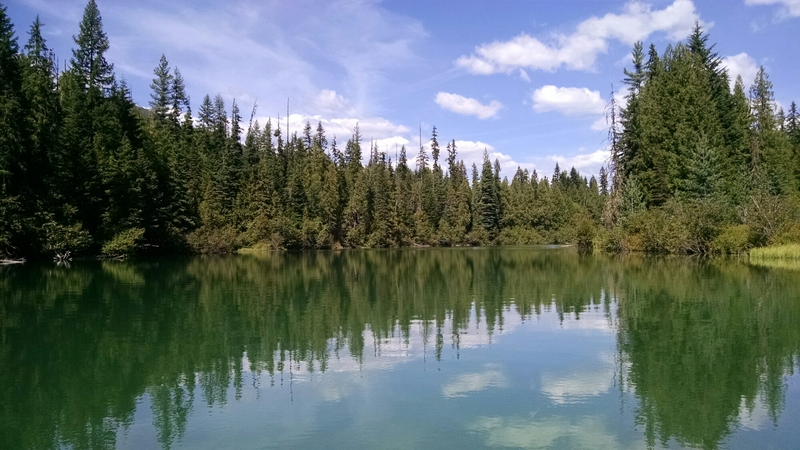 Today we took a long boat ride to Upper Priest Lake, which is connected to the bigger Priest Lake by a narrow, two-mile-long channel. What a beautiful tour of this pristine country. Once at our destination, we had a picnic followed by a swim in amazingly clear water. 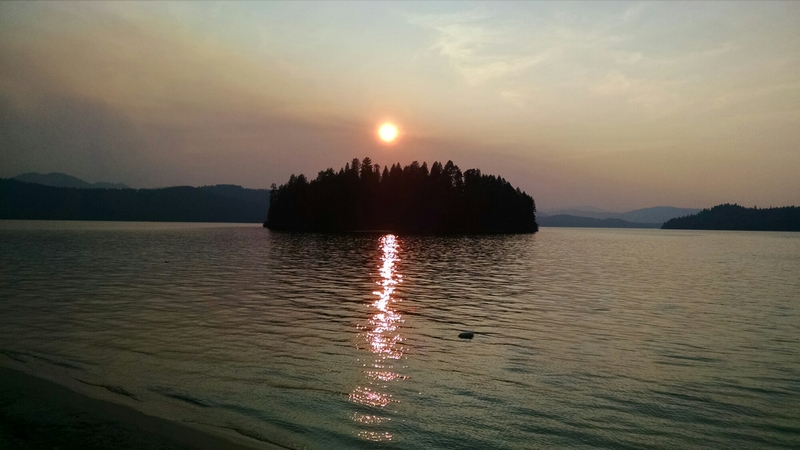 To remind us just how fragile paradise is, there has been a constant smoky haze hanging over the lake since we arrived, caused by multiple forest fires in the surrounding area, the closest of which is not yet contained. The fire is on the west side of the lake. We are on the east side. Though there is talk of evacuating the west side of Priest, we are in no danger. Scary nevertheless.